Tired of your carpets? Why not opt for a change, why not opt for premium quality, polished wooden floorboards? 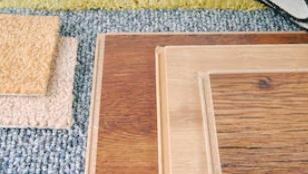 Easy Step Flooring gives you many options when it comes to wooden floors. The flooring you choose can actually transform your interiors, dictating the mood, feel and ambiance of the space. You’ll want to install flooring which creates the mood and look you want for the space, whether that be a dining room or living area. As one of the UK’s leading online flooring companies, we specialise in a range of quality wood flooring, with something for every taste and budget. The highest quality wood flooring is available at good value prices, so you can’t go wrong. We can provide the help and support you need in choosing your new floor. Beautiful flooring makes all the difference to a property’s interiors, lifting and changing the atmosphere of a space. Keen to install wooden flooring in your property in Ealing? We’ll make the process easier for you.